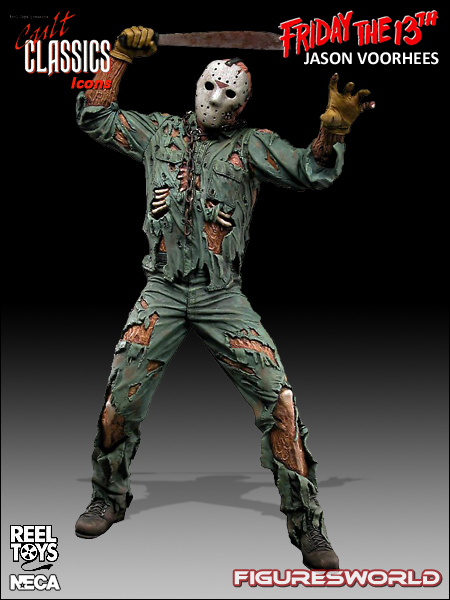 Jason Voorhees has had many makeovers throughout his eleven films. Yet perhaps none is more gruesome or horrifying than his rotten revamp in Friday the 13th Part VII: The New Blood. Based on his appearance in the beloved slasher flick, Jason comes to shocking life in seven inch, fully articulated form in Cult Classics Icons Series 4. Included here with trademark machete, Jason is a must for any horror collection.